Shoemaker is making my shoe at Calcite Sellers Porreres, Mallorca, Spain. Shoe maker sanding the shoe sole at Calcite Sellers Porreres, Mallorca, Spain. Calcite Sellers Porreres, Mallorca, Spain. Fixing a shoe at Calcite Sellers Porreres, Mallorca, Spain. 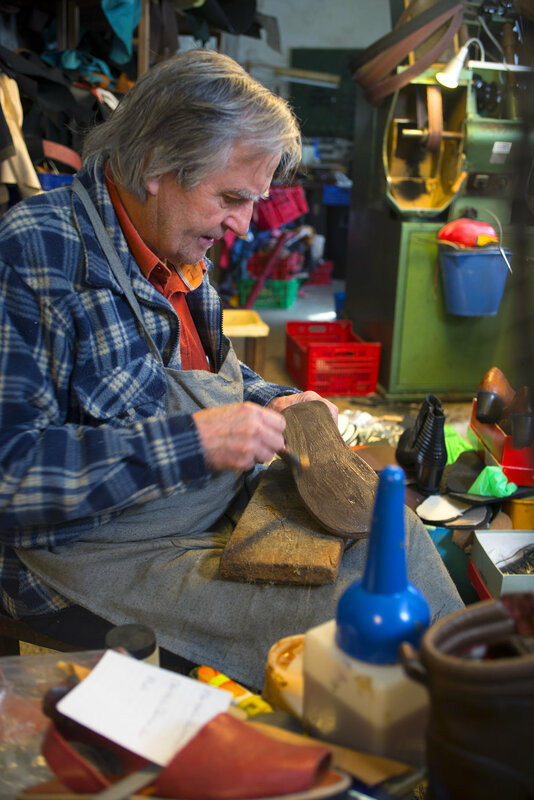 Putting on a new sole on the shoe at Calcite Sellers Porreres, Mallorca, Spain. Shoe molds at Calcite Sellers Porreres, Mallorca, Spain. Shoes ready to wear at Calcite Sellers Porreres, Mallorca, Spain. Shoe maker desk at Calcite Sellers Porreres, Mallorca, Spain. 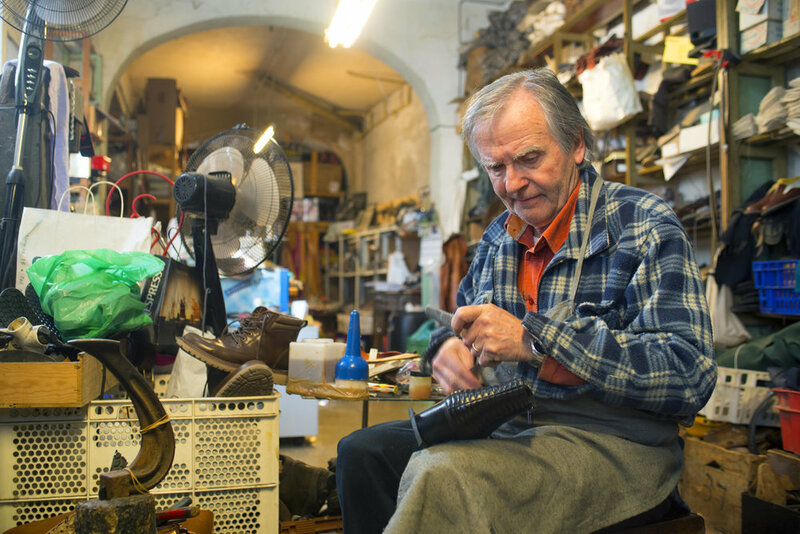 Shoe Maker at Calcite Sellers Porreres, Mallorca, Spain.